The nearest pub is 1 mile away and serves food. Haworth is 2 miles away and has an excellent selection of tearooms, pubs and restaurants. 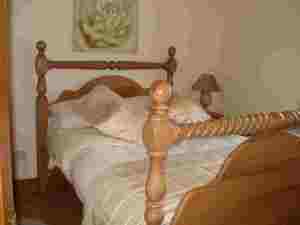 Hollies Cottage is situated on the Pennine Way. An access statement is available, please contact us for further information. Freeview TV. On entering Stanbury village from Haworth take your first left after Stanbury School into Back Lane. Follow the road until it splits, then turn right. Continue for approx 1/2 mile until you reach Buckley Green, Bottom Farm on your right. Go through the gateway and Hollies Cottage is on your right with a parking area on your left. The 664 bus runs from Keighley to Stanbury, the nearest bus stop is at the bottom of Back Lane.